5 wrestlers traveled to Waseca today to get one last tune-up before NYWA districts begin. Attending were Carl Murray, Cain and Ryan Lexvold, Nathan Haltom, and Jack Smothers. NYWA is a wrestling association that holds a series of individual and team wrestling tournaments for kids in 8th grade and under. All wrestlers who participate in an NYWA tournament must purchase an NYWA membership. The NYWA District tournaments are held annually the first two weekends following the Minnesota State High School Wrestling tournament. Wrestlers who place 1st or 2nd at Districts will advance to the Regional tournament. 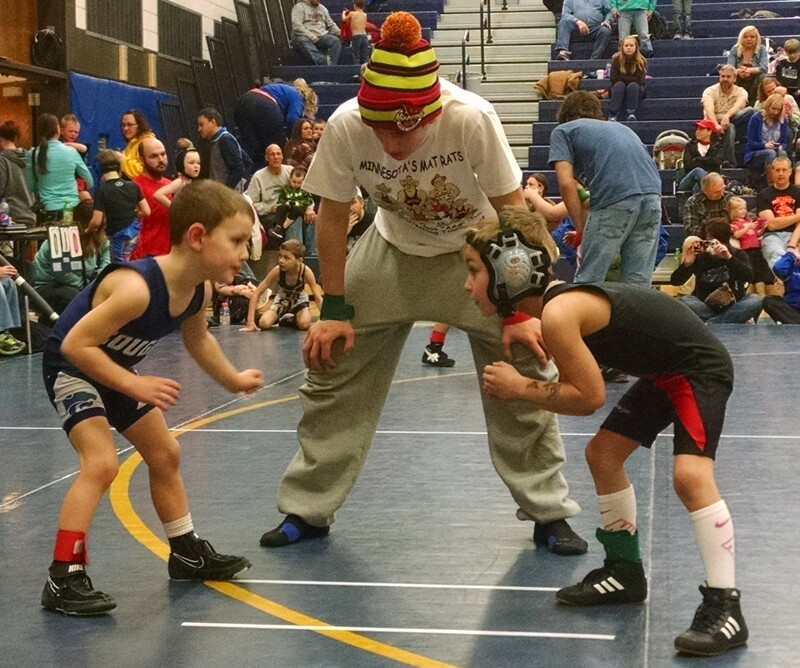 At Regions, a wrestler must place 1st, 2nd, or 3rd in the weight class to advance to the NYWA State tournament. NYWA groups wrestlers by these ages and weight classes. Anyone planning on wrestling in the Plainview NYWA qualifier on Friday should purchase an NYWA membership and get their Plainview registration form in the mail by Tuesday. MN/USA Wrestling is the state affiliate organization for USA Wrestling. All wrestlers who participate in a USA tournament must buy a USA Wrestling membership. The MN/USA Folkstyle State Tournament is March 6-8th. MN/USA uses these ages and weight classes. Novice division and younger (born 2004 or later) must have already qualified in one of the MN/USA open tournaments. Schoolboy and Cadets do not need to qualify. However, everyone must pre-register on-line by tonight at 8 PM. Monday- Practice. PreK-3rd at 5:45. 4th-6th at 6:45. This is the last practice before we combine all grades for open mat. Friday- NYWA District Qualifier in Plainview.